Winnie Madikizela-Mandela's burial - SABC News - Breaking news, special reports, world, business, sport coverage of all South African current events. Africa's news leader. 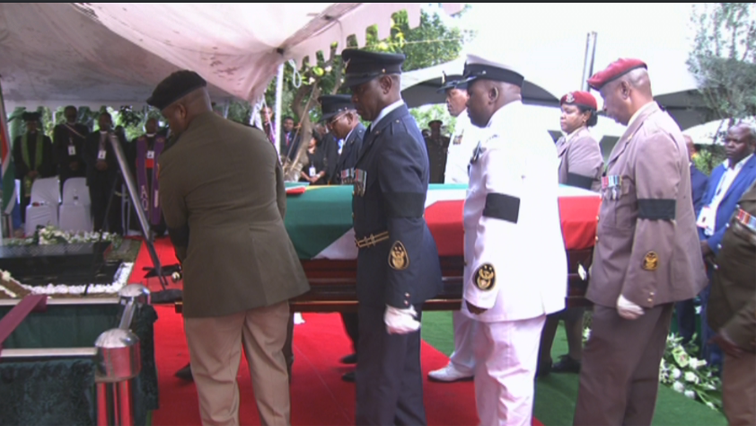 The National Defence Force accorded her military honours, with soldiers carrying her coffin.